Here is a list of places around and outside of Europe where my artwork is regularly for sale. I have also put together a directory of special people who are an inspiration to me and express their creativity in different fields of life. 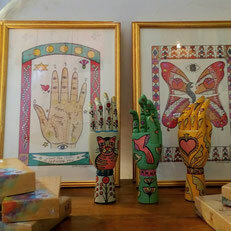 In this vibrant little shop in Bermondsey Street, London, beautiful things are made with love. You can buy clothes and jewellery from independent designers, handmade organic beauty products, decorative objects, my artwork and much more. CueB Gallery is situated in South West London. Check out the new exhibitions each month. Malou is a good and talented friend of mine. She designs vintage reproduction clothes for men and women. An interesting Art company where you can find high quality paintings from Scandinavian Abstract Impressionism, different cards and Architecture and Interiors projects. 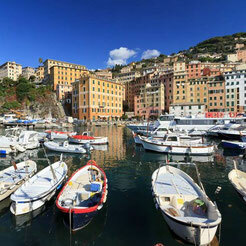 A cute little art gallery full of local artists in the beautiful harbour of Camogli, Genova. Find here my artwork for sale. Norya's shop is inside the beautiful "Le Jardin" in the Marrakech Medina. Her long dresses and tunic are elegant, confortable and unique. Book and Kitchen is a new bookshop in Ladbroke Grove and Notting Hill which aims to combine the literary and culinary in a fresh and modern setting. You can find my limited Edition Print for sale. This is the editor of my first published book. 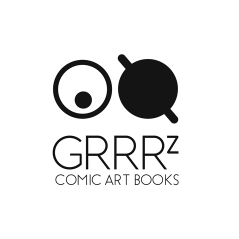 Check out their collection of interesting comics and art publications. 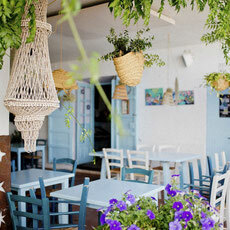 Concept store in Ibiza inspired by travel, love & worldwide beauty. Find here my Limited Edition Prints for sale. In the heart of the Medina this gallery shows local artist and you can find my artwork inspired by the red city.